Dr. Sudarat Damrongwatanapokin has worked tirelessly throughout her career to find and implement solutions to the largest global public health and development challenges of our time. During her 30 years of service in global health research and policy, Dr. Damrongwatanapokin has proven to be a resourceful, innovative, and outstanding leader in her field. After studying veterinary science at Thailand’s Chulalongkorn University in 1983, Dr. Damrongwatanapokin began her career at the Veterinary Biologics Division at the Department of Livestock Development (DLD). In 1986, she was awarded a Fulbright Scholarship for Ph.D. study of veterinary microbiology at the University of Minnesota. Upon receiving her doctorate in 1993, Dr. Damrongwatanapokin went back to Thailand where she worked as a swine virologist expert. She was the first person in Thailand to isolate the porcine reproductive and respiratory syndrome virus, and would go on to play a key role in addressing H5N1 outbreaks in 2003. This work ultimately led to her joining the USAID Regional Development Mission Asia (USAID RDMA) in 2006, serving as an avian flu and emerging pandemic threats specialist. Dr. Damrongwatanapokin continues her important work at USAID RDMA today, now as a regional animal health advisor. She has served throughout avian influenza outbreaks over the past decade, and is active in supporting development activities to prevent and control emerging infectious disease threats. Her work includes building and facilitating relationships with government counterparts, United Nations partners, and international agencies. Additionally, she serves on the Thailand One Health Working Committee, and on the Research Committee of the Thai Research Foundation. Throughout her career, Dr. Damrongwatanapokin has been recognized for her excellent work and achievements. In 1998, she received the Outstanding Royal Thai Government Official Award, and has multiple Meritorious Honor and Honor Awards from the U.S. federal government. As a highly regarded professional, Dr. Damronwatanapokin ensures future success in her field by mentoring graduate and in-service students in veterinary public health. 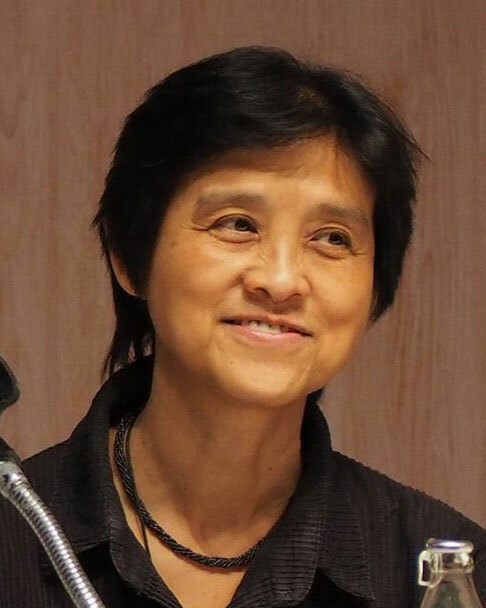 In naming Dr. Damrongwatanapokin as a recipient of the Distinguished Leadership Award for Internationals, the selection committee acknowledges her many contributions to the field of global health research as well as her leadership in the study of emerging infectious disease.